The North American trucking industry, more precisely the industry in the United States and Canada (but possibly to include Mexico soon in a big way), is one of the most competitive industries on earth. I always use the expression hyper-competitive. I'm not even certain that hyper-competitive is a real expression, but it sounds cool.....kinda zoomy!!! But as a new driver, the competition between companies should not really concern you too much just yet. You should definitely NOT be considering buying your own truck without a few years in the industry first. The only exception I can think of is maybe a situation where your family, maybe your parents or aunts and uncles, have owned their own trucks over the years and you will be under their guidance with your own truck. But for the vast majority of new drivers you should not be considering buying your own truck and learning to compete in this industry while at the same time learning to drive the truck and handle your new life on the road. It's just too much all at once. But what you will be concerned with from day one is the competition for equipment, freight, and possibly opportunities to join different divisions within your own company. You should definitely NOT be considering buying your own truck without a few years in the industry first. As an employee of any company, you should be aware of the fact that what's good for the company is often times good for you, and visa-versa. Not always of course, but if you want to keep your job you should be doing what you can to promote the well being of both yourself and your company. Simple enough. However, as a driver at any company, especially the larger ones, you will actually be competing with the other drivers in your own company. You should approach this competition with integrity, not dirty tactics, but make no bones about it...the other drivers in your company are your peers AND your competitors. For all intents and purposes, you can look at your company as having a given amount of drivers using a given amount of equipment to haul a given amount of freight at any particular time. For example, today your company may have 5000 drivers, 5000 tractors, 7000 trailers, and 3000 loads. Keep in mind that you will have a certain number of loads that take more than one day to deliver, so not all drivers will need a new load everyday. Let's get more specific. Let's say that today your company has 2100 drivers that will need a new load but only 1950 new loads available. There are a lot of things you can do to make sure you're NOT one of those 150 drivers that aren't going to make any money today. It starts from day one at your first company and will be a never ending process throughout your entire career. Let's take a look at how this works and some of the things you can do. However, as a driver at any company, especially the larger ones, you will actually be competing with the other drivers in your own company. For starters put yourself in your company's shoes. 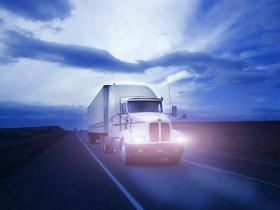 Your company has made gigantic investments in equipment and employees with the assumption that they will be able to get enough freight to be profitable overall. It's a gigantic commitment. When they hired you the deal was pretty simple....they'll supply you with a truck and trailer and then they will find freight for you to haul. All you have to do is haul the loads they give you, safely and on time, and they'll pay you well for it. Sounds good so you join the company and off you go.